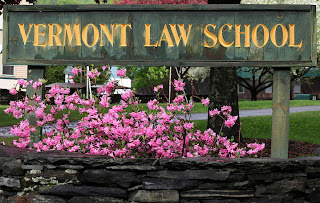 Vermont Law School 2013-2014 Scholarships - Scholarships, starting from a few thousand greenbacks to full lessons, are presented via Vermont Regulation Faculty and made conceivable in the course of the generous contributions of VLS pals, alumni, and others. The awards are in line with instructional talents, achievements, group provider, and other considerations. Scholarships are presented to widely wide-spread applicants after a assessment in their admission file. All conventional applicants are thought to be for scholarships. No separate application shape is vital to be regarded as for a advantage-primarily based or endowed scholarship. Every scholarship may be renewed for all 3 years of law college, so long as academic performance criteria are met. Recipients are selected based on their excellent academic achievement and leadership. This renewable conditional scholarship is awarded to new incoming students in our traditional and extended JD tracks. The Presidential Scholars award is only applicable for the JD tuition. Award recipients must maintain a Vermont Law School cumulative GPA of 3.0 on a 4.0 scale. Recipients are selected based on their academic promise, leadership strengths, and a commitment to diversity and community service. This renewable scholarship is awarded to new incoming students or transfer students for all degree programs. Award recipients must maintain a Vermont Law School cumulative GPA of 2.5 on a 4.0 scale. Per ABA Standard 509, law schools are asked to post data on their web sites regarding conditional scholarship retention. Standard 509 defines a "conditional scholarship" as "any financial aid award, the retention of which is dependent upon the student maintaining a minimum grade point average or class standing, other than that ordinarily required to remain in academic good standing." Some Vermont Law School scholarship awards fit this definition, and admitted students are informed of the grade point average criteria for their scholarship in their scholarship awards letter. The data regarding our students' retention of conditional scholarships is noted below. As indicated, for the fall 2011 entering class, 49 students entered with conditional scholarships, and no student had their scholarship reduced or eliminated for their second year based on their academic performance. If you have questions about the law school's scholarship awards, please feel free to contact the Admissions Office. These scholarship funds come to us from the generous contributions of the VLS alumni, family and friends, and many others. Awards from these funds are determined by the scholarship committee at the time of acceptance to VLS. Scholarships restricted for second or third year law students are awarded by the scholarship committee in conjunction with the Associate Dean of Student Affairs. Due to the fluxuation of these funds, some awards may not be given every year; VLS will make a determination, based on an annual review of the portfolio. The ELC International Scholarship is awarded to one or more international LLM candidates each year. The purpose of this scholarship is to provide international students who are not eligible for financial aid in the United States the opportunity to study environmental law at Vermont Law School. Applicants for the ELC International Scholarship must submit a letter describing their qualifications, experience, and need. This letter is due along with the completed application to the LLM degree program on March 1st. Applicants will be notified in early April whether they have been awarded the fellowship and the amount of the award. The Marsh Scholarship is awarded to one or more MELP or LLM in Environmental Law candidates each year. The Environmental Law Center welcomes applications from candidates who have demonstrated a commitment to environmental stewardship as exemplified by the works of George Perkins Marsh and as reflected in the ELC's Mission Statement. Applicants for the Marsh Scholarship must submit a letter describing their qualifications, experience, and commitment to public service. This letter is due along with the completed admissions application to the MELP or LLM in Environmental Law degree program by March 1st. Applicants will be notified in early April. Vermont Law School is committed to helping tribal governments and the people of Indian communities deal with the challenges of protecting their environments. In addition to the First Nations Environmental Law Scholarship, the faculty of Vermont Law School can help students to fashion individualized educational experiences in the field of Indian country environmental law, such as internships with intertribal organizations and independent research projects. The purpose of the scholarship is to enable members of federally recognized Indian tribes to pursue careers in environmental management and resource conservation, as well as to assist them in developing the legal and institutional framework to administer environmental programs throughout Indian country. MELP and LLM in Environmental Law students learn the basics of pollution control, land use, and resource allocation, as well as more sophisticated concepts of pollution prevention, ecosystem management, and international law. Special courses dealing with the unique jurisdictional and cultural aspects of Indian Country environmental issues are also offered. The First Nations Environmental Law Scholarship provides financial assistance for tuition to two or more candidates admitted to the MELP or LLM in Environmental Law degree each year. Applicants for the First Nations Scholarship must submit a letter describing their qualifications, experience, and commitment to public service. This letter is due along with the completed admissions application to the MELP or LLM in Environmental Law degree program by March 1st. Applicants will be notified in early April. Students who receive private scholarships from outside sources must report these scholarships to the Financial Aid Office. We are required to include all outside scholarships as part of your financial aid award and must also count them toward meeting financial need. In cases where the receipt of an outside scholarship(s) impacts a student's financial aid award, we reduce the loan program rather than reducing other scholarships. Once you have notified us of any outside scholarships received, we will adjust the financial aid award and send a revised financial aid award notice.